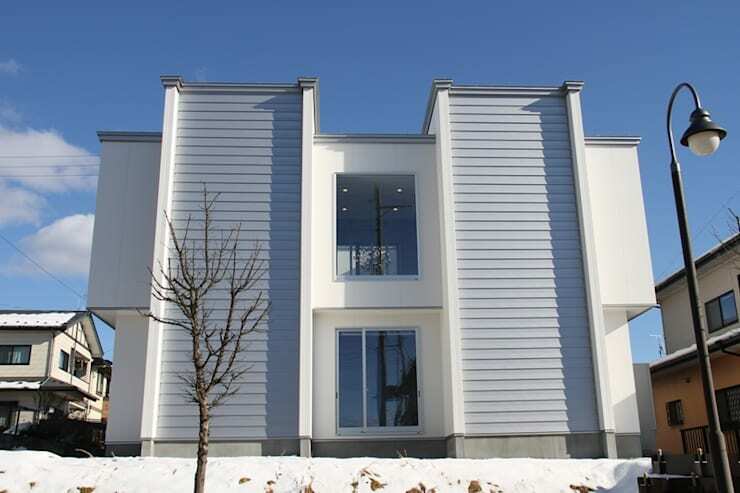 Today we will take a tour of Family House designed by Little Nest Works, an architecture firm based in Fukushima, Japan. When you think about your home, especially in urban areas, the first thing that you think of is space. The second thing that comes to mind is a clean architectural design which will accommodate some basic requirements, luxury and comfort. This house totally caters to all these requirements. There is nothing over the top about this abode; it looks extremely functional and inviting. It is as if the house resembles the basic Japanese philosophy ‘waste not, want not’. There is a calm demeanour about this house -let's explore more. As you stand before the house, the first phrase that comes to your mind is probably “white as snow”. There is nothing ostentatious about this design. The facade is quite simple and straightforward. As you observe the tall structure, you will notice a glass laden intersection flanked by two straight textured walls. 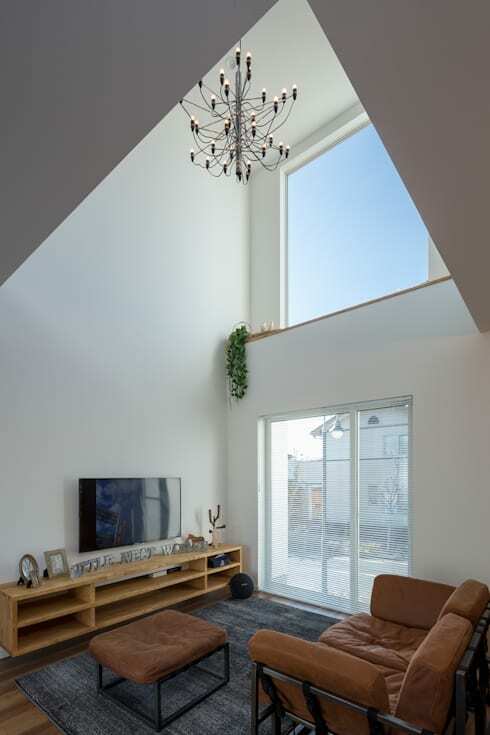 The intersection has two large windows which allow the flow of natural light inside the house. White has probably been deliberately chosen as the colour palette, as it creates a soothing feel. A beautiful wrought iron chandelier adorns the ceiling of this living area. The large sliding door and the glazing above it allow ample sunlight to flood the space. The earthy looking couch is quite comfortable but it serves a dual purpose; you can use it both as a couch and a divan. The foot rest in front features the same brown cushion which has been used for the couch. The long open shelf below the flat screen TV exudes a rustic charm which also complements the earthy tone of the floor. The grey carpet cuts through and creates a sober diversion. Like much modern architecture, this house has no clear demarcations between the rooms. 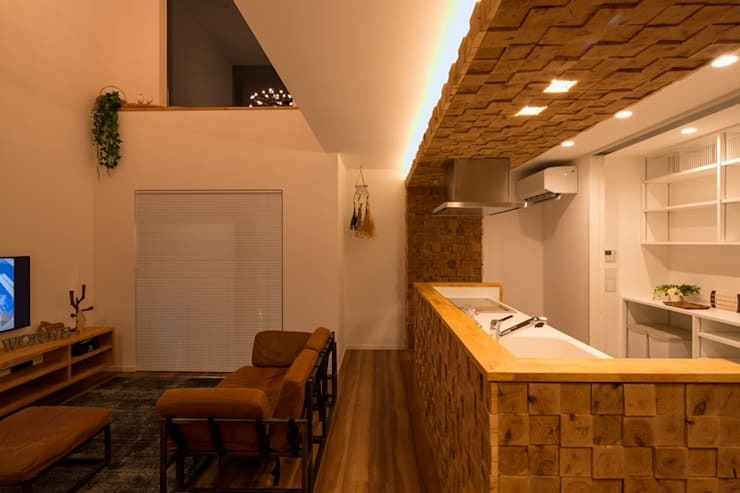 The living space spills into the kitchen, which has a unique ceiling in yellow tiles. The same tiles have been used to create the wall which encases the kitchen countertop. The walls, cupboards, and the shelves feature a clean white tone. However, the contrast provides visual interest. Recessed lights on the ceiling produce a diffused glow which creates warmth. As you move to the upper storey of the house, you notice a long passage with a smart wooden floor. 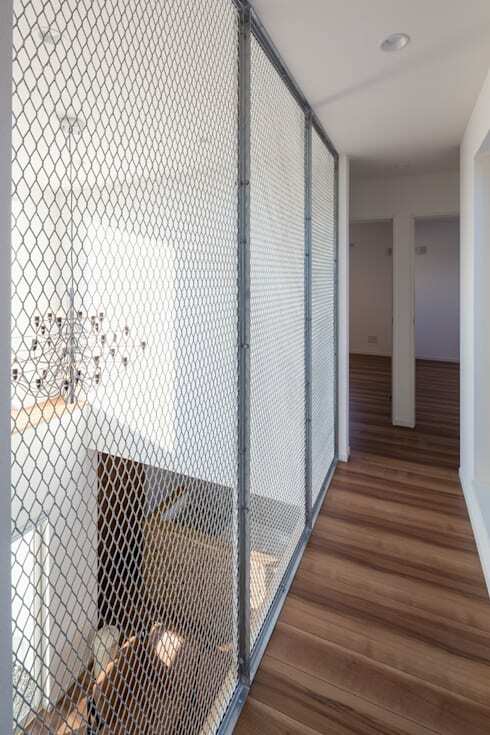 But the interesting feature of this place is the peek-a-boo steel frame which acts as a support and privacy wall. This is quite unique, because steel has remained absent in other parts of the house. But this element has been used quite cleverly to create a wall, at the same time without obstructing the view from the top. The entire bathroom utilises space well. 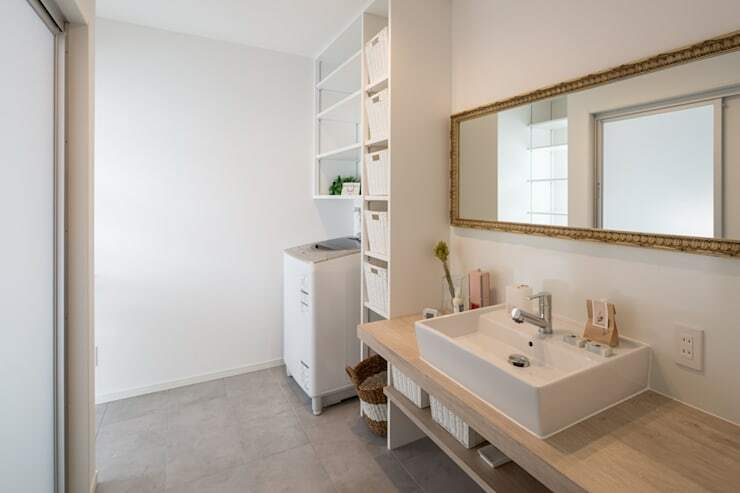 The long mirror on the wall, the simple basin on a wooden countertop, and an open shelf in the corner shows that there is space for everything. The open shelf under the sink holds baskets to keep your bathroom essentials. The washing machine is strategically placed below the high corner shelf. You can hardly notice its presence, unless you look carefully. The tall shelving unit next to the washing machine is equipped with multiple baskets to store all odds and ends besides laundry. Everything about this bathroom is neat and tidy. The colour palette is soft, and comforting. The architects who designed this house believe in the idea that a few simple things can come together to make a great home. Most of the elements in this abode are very basic and functional. Nothing overwhelms, but rather soothes! Here is another ideabook to inspire you - A small home with a big heart. What do you like most about this beautiful minimal home? Please share with us in your comments below!